This is what I ate for breakfast this time last week. This week I am back to normal and eating healthy meals so certainly have not been eating croissants. Instead I had strawberries with yogurt and a tsp of honey for breakfast – equally as yummy but not quite so fattening! 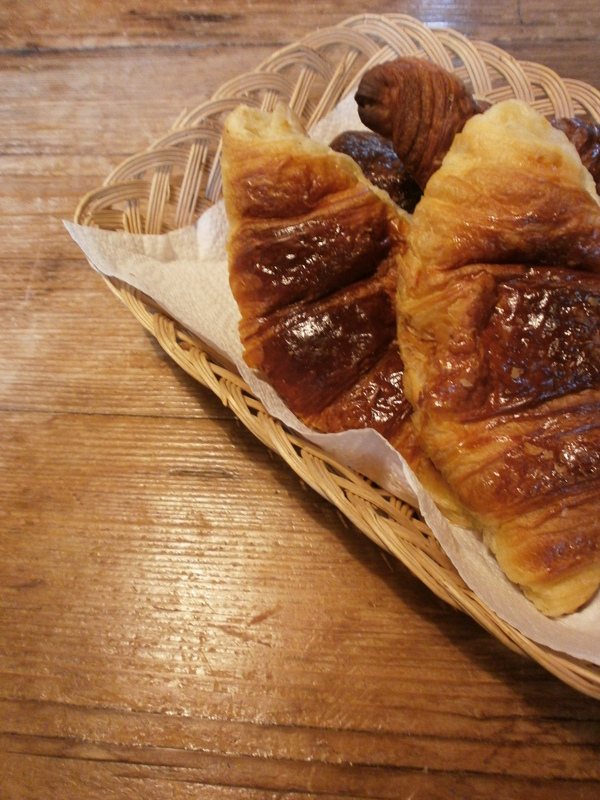 If you are after a treat for breakfast, croissants are the only way! Check out a recipe here. If you do not have the time or inclination to go to the effort of making croissants from scratch, pop down to your local patisserie! On Monday, Mr MAC and I paid a trip to Beckworth Emporium – a truly fantastic farm shop and nursery which is close to where we live in Northamptonshire. Beckworth’s is a great place to eat and shop and I will no doubt write a whole post about this wonderful place in the not too distant future. 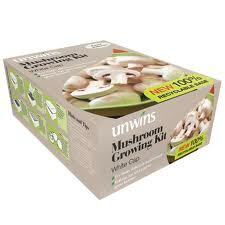 Whilst we were there, we laid our eyes on a ‘Mushroom Growing Kit’ from Unwins. We eat a lot of mushrooms so figured we would give it a shot! According to the box, we should (all being well!) expect a yield of mushrooms in time for Easter. 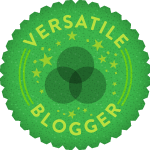 Unfortunately, we are only guaranteed 2 – 3 crops but I think this is a good starting point as we are both novices when it comes to gardening! Last summer, Mr MAC and I grew lots and lots of tomato plants from seeds. Our dining room table was full of propagator trays for weeks! We also attempted a chilli plant, a few pepper plants and one lonely strawberry plant. Unfortunately, we were away for most weekends last summer so gardening was near on impossible. As a result, our plants died with us only eating one measly cherry tomato each. This year we are determined to make more of a success of our ‘grow your own’ efforts. As we live in a rented property (for now…! ), we are loathed to plant a lot of things in the ground so will mainly be planting things in pots and focusing on things that we can take with us should we move later this year. On the list to grow are – Mushrooms, peppers, tomatoes, chillies, strawberries and herbs. We best get buying, planting and reading up on tips and techniques! 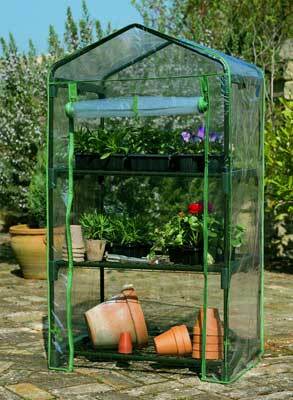 My next gardening related to purchase to help us on our way will be something like the below! I cannot think of anything better than serving up a meal containing ingredients that I have grown myself and am really looking forward to the day I can do this! Hopefully this year will be more of a success than last year…..any tips will be much appreciated!! !